New Zealand November 7 2018 The use of security guards stationed at the entrances to the Craggy Range track has been labelled “atrocious” by a pro-track lobby group. 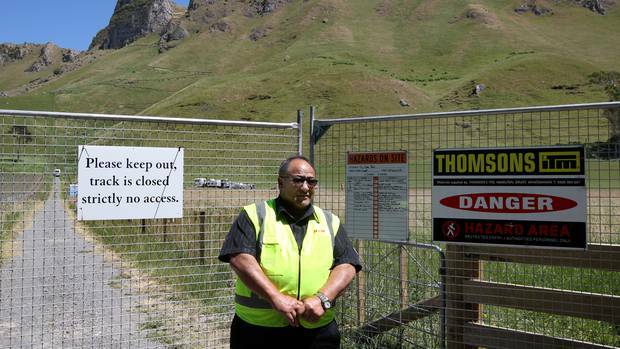 Te Mata Peak Peoples’ Track Society Incorporated chairman George Williams said it unnecessarily added to the ratepayer cost of the works. Last month, Hastings District Council announced “urgent action” would take place to remove a “dangerous” section of the winery’s damaged track located on the top 500m. It followed a report from independent safety experts, commissioned by the council and carried out by civil engineering firm Frame Group Limited. But the society ignored the council warnings two weeks ago and scaled the fences to test the track for themselves. On Tuesday, helicopters flew over the track as part of the council’s remedial works. Williams said the security guard hiring was “another mistake that council have made and they got us in this mess right from the start”. He believed the work would likely balloon out further than the council’s estimated $60,000 cost. As a member of the Te Mata track reference group, he felt they had been “taken out of the process”. She said the guards were contracted to work during “daylight hours” and were incorporated within the cost of the entire project. She would not disclose how much the security alone was costing. 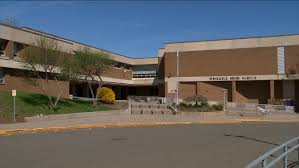 HSM group director Fred Stevenson said there were two security guards; one at the top, and the other at the bottom of the track. He said the council had instructed them to “keep people away”. Williams said the notion that the track was dangerous was incorrect.